S.R. 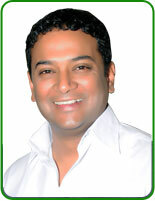 MEHROZ KHAN, member of Indian National Congress is a young and dynamic personality. He strongly believes in youth power and has been an ardent follower of the Congress party since his student days. He joined the Indian National Congress as a student activist in the year 1990 under the able leadership of Late Sri. Rajiv Gandhi, then Prime Minister of India. He has a strong and wide political vision with well-established believes in secularism, democracy and socialism. He is eager to motivate and encourage fresh young blood and thinkers to join Congress for the progress of the country. He is a staunch believer in the ideologies of the Congress party and its welfare programs. He considers himself as the brand ambassador of the Congress party and looks forward to each and every member of the party identifying themselves as its brand ambassadors. He is the Managing Director of Ms Advisors, Consultant- Global investments and Business Relationships, specializing in the tourism sector. He is the founder of Explore Karnataka Foundation, an initiative that explores, promotes and propagates the culture, arts and knowledge of Karnataka. He is the co-founder of Human Cause, an NGO that provides educational and medical assistance to the poor and needy. It works for a pollution-free environment, promotes greenery and supports social causes. MANSOOR ALI KHAN, member of Indian National Congress and Vice-President of KPCC Professional Cell is a well-known educationist and social entrepreneur. A young and energetic personality, he hails from a well-known political family. He is the director and member of many NGO’s and educational institutions, for instance Delhi Public School (Bangalore and Mysore divisions). Understanding the need and importance of literacy for all, he provides free education to economically backward children at his renowned institution Delhi Public School. The school offers free education to children of economically weaker sections of society by collecting a nominal fee of Rs.10/- on par with other students, even prior to the enactment of RTE, clearly highlighting the philanthropic service of the school and serves as a model for others. He has a broad political vision with firm belief in democracy, socialism and secularism. He is a staunch believer in the ideologies of the Congress party and its welfare programs. He is passionate about inducting youth and intellectuals into the Congress party. DR. HARISH.S, member of Indian National Congress, Vice-Chairman of KPCC Professional Cell and Chairman of KPCC Doctors and Health Welfare Wing is a multi-facet, self- motivated personality. A service-oriented person, he has dedicated his life to the service of the people. 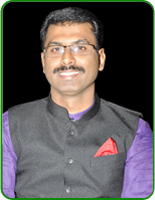 He is an eminent dentist practicing in Karnataka for the last 15 years. He is the director of health at Educational Praxis, USA. A simple down to earth person, his achievements speak for themselves. He initiated the ‘Arogya Mela’, to make health care affordable and accessible to the rural masses. He was instrumental in starting ‘CARE-Concern, Affection Relating to Elders’ to look into and take care of issues faced by the elderly people. He organized ‘Doctors Drive’, an initiative to absorb health care professionals across the state to effectively and efficiently deliver progressive health regimen. 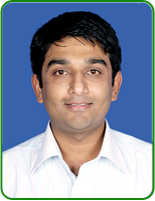 He conducted the first International Symposium-“International Emergency Medicine & Preparedness” under the aegis of Karnataka Pradesh Congress Committee in association with American Academy of Emergency Medicine in India under which 600-750 health care professionals from the rural areas were trained all across the state in emergency care. He is a knowledgeable individual in his field. He was the Guest Speaker at many conferences such as WORLD HEALTH GLOBALIZATION, 2005, Keene State University, USA and INTERNATIONAL EMERGENCY MEDICINE & PREPAREDNESS, India. He was a delegate at GREATER NEW YORK HEALTH MEETING, 2005, New York, USA. He was a participant at MULTI DISCIPLINARY IN HEALTH TRAJECTORIES, University of California, San Francisco, USA. He strongly believes in the ideals of democracy, socialism and secularism. He is a staunch and fervent believer in the ideology of the Congress party and its welfare programs. He lays special emphasis on inducting fresh young blood into the party. All the founders are like-minded people and staunch Congress men. They believe in extending social activities to a large extent by strongly advocating political awareness among the general public.